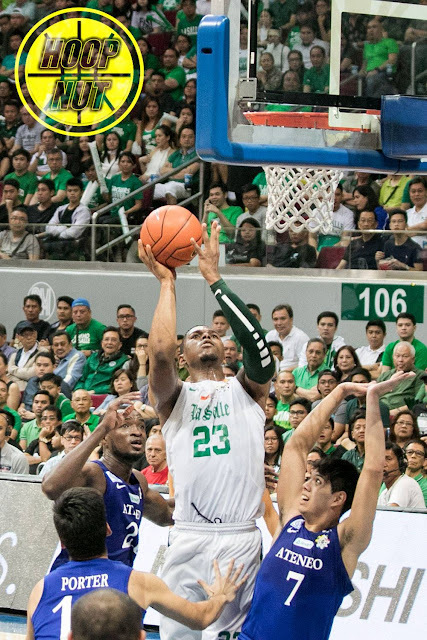 The Ateneo Blue Eagles tried their best to slow down Ben Mbala and the De La Salle Green Archers. Only ADMU stood in the way of a first round sweep for the boys in green. Unfortunately, even the suspension of Coach Ayo and injury of Jeron Teng could not prevent DLSU from running allover the Blue Eagles. Ateneo battled and tried their best. They kept it close for one period, but that was it. 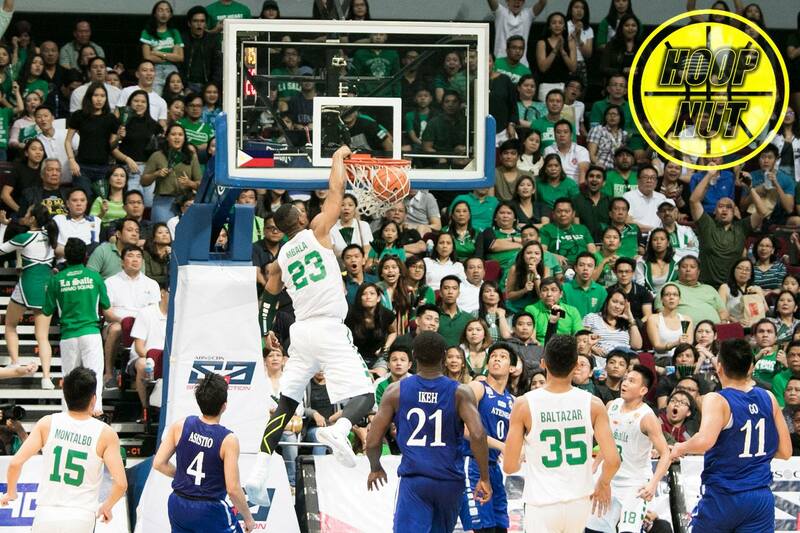 DLSU is just too deep, too fast, too big and too strong right now. Ben Mbala is unstoppable. He can probably play in the PBA as an import. Still, ADMU should be happy with their 4-3 record after the first round. They are certainly in the hunt for a final four slot. Hopefully, they continue to improve because they can beat the other schools except La Salle. Click HERE for more game photos between Ateneo vs La Salle!